Select your tickets or sponsorship level here. Celebrating Steve James' epic series America to Me with a conversation about race, education and social impact storytelling. 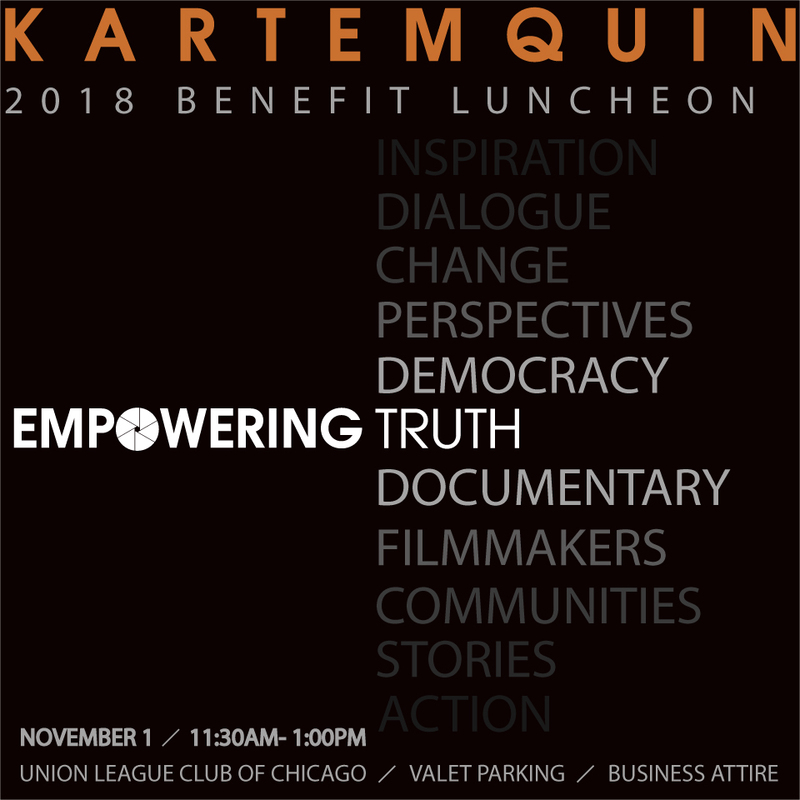 And showcasing the achievements of the Kartemquin filmmaker community. VIP reception for sponsors at 11AM. More information on tickets and sponsorship levels here.